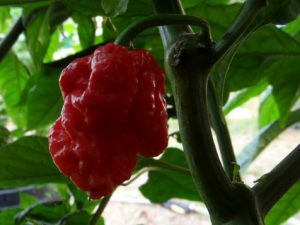 7 Pot Gigantic SR-(Capsicum chinense)-Also called Gigantic 7 Pot. This here is the Orange type which is not totally stable. So you may get other colors like Red and Brown. As with other Trinidad varieties the abbreviation SR stands for a lady named Sara who shares many varieties from Trinidad with the world. In this case with her friend Christopher Phillips from Michigan. 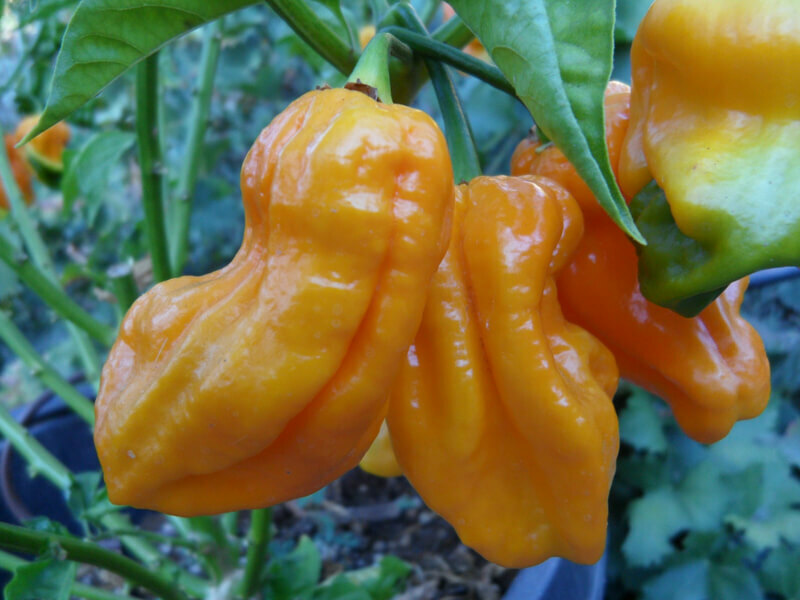 Chris always finds a way to locate the newest varieties and get them out to everyone. I must mention that without people like Chris and Sara we may have never heard about all these wonderful strains from Trinidad! 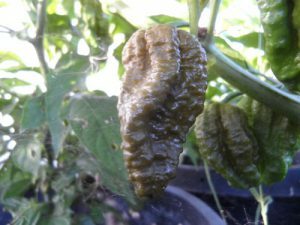 This Gigantic 7 Pot SR chile plant can produce pods so big that the actual pepper will fill up the palm of your hand. 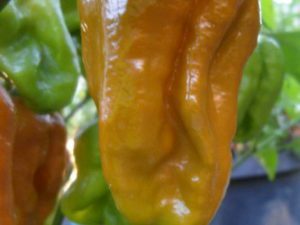 This chile plants variety grows under 3 feet in height. 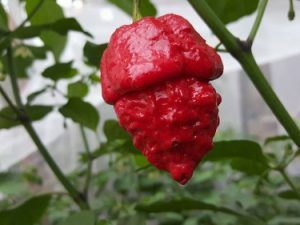 But produces lots of fruity superhot pods. They ripen from green to dark red.